Yara Shahidi attends the Premiere Of Focus Features' "BlacKkKlansman" at Samuel Goldwyn Theater on August 8, 2018 in Beverly Hills, California. 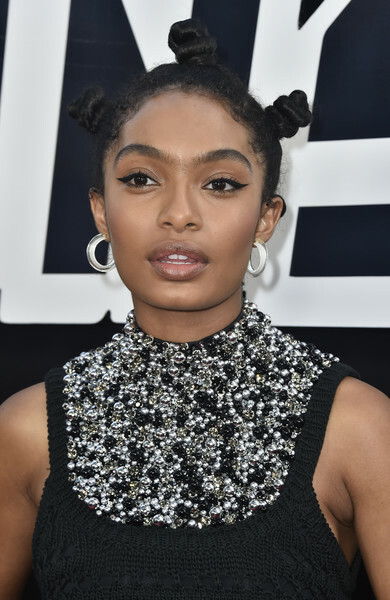 Yara Shahidi accentuated her eyes with a swipe of winged liner. Yara Shahidi finished off her look with a pair of Loucite by Alison Lou hoop earrings.